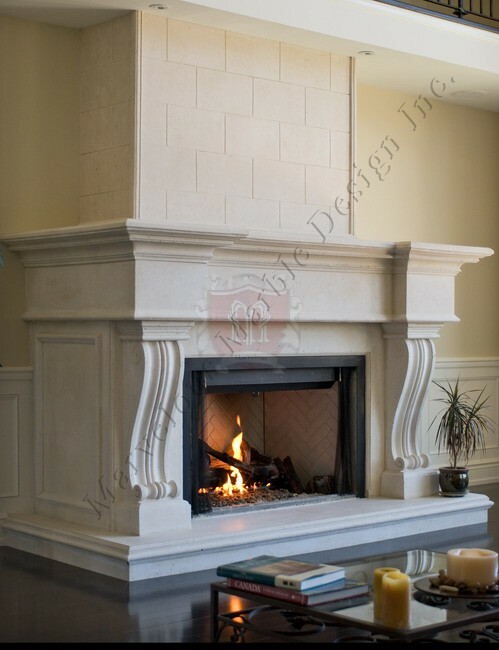 This Limestone Fireplace Mantel Surround is a home designer’s favorite in Long Island. It has a step hearth design that raises the mantel to bring out the beauty. The corbels (legs) of the mantle are just exquisite to look at. The corbels have a specific design to them because they are hand carved so well. 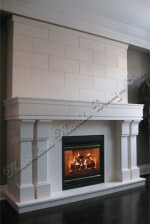 On each edge of the over mantel is a border, and the over mantle has a brick pattern. 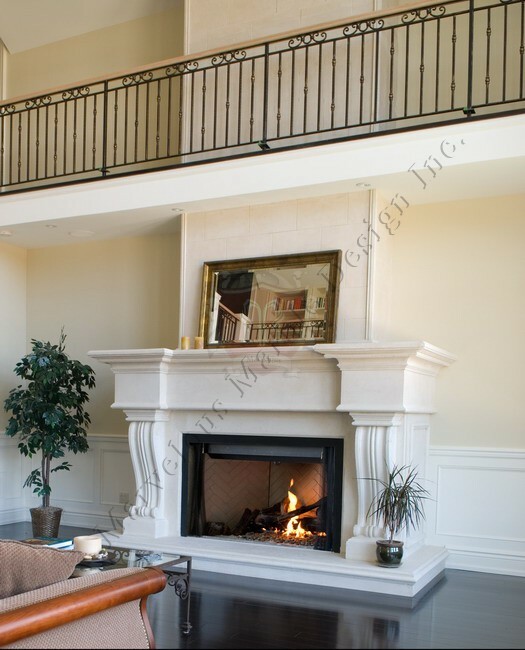 The formal shelf of this fireplace mantle helps bring out the beauty of the mantel. 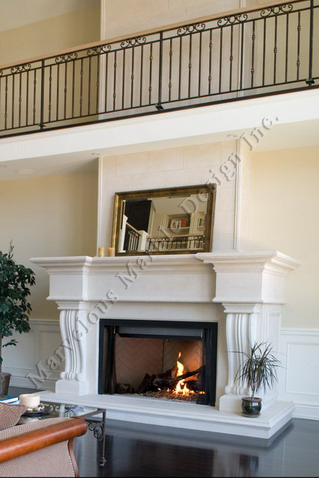 On each side of the mantels return is a picture frame molding that compliments the wall of your living room. 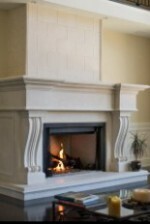 The surround of the mantle helps protect your mantel piece from the sparks of the fire. You can add your own style to the mantel by making it a custom order. Bexdale is a stain proof mantle, and is covered in sealer to protect your stone. It will not get damaged by the heat of the fire and will maintain itself throughout a long period of time. You can have a loved one’s picture on the mantel. During Christmas Time you can decorate your mantle to be festive, and gather around it on Christmas eve. and enjoy the times you have with your family.This mantel would be a great addition to your custom built home. Overall Size: (W X H) 88"X65"Opening Size: (W X H)48"X44"